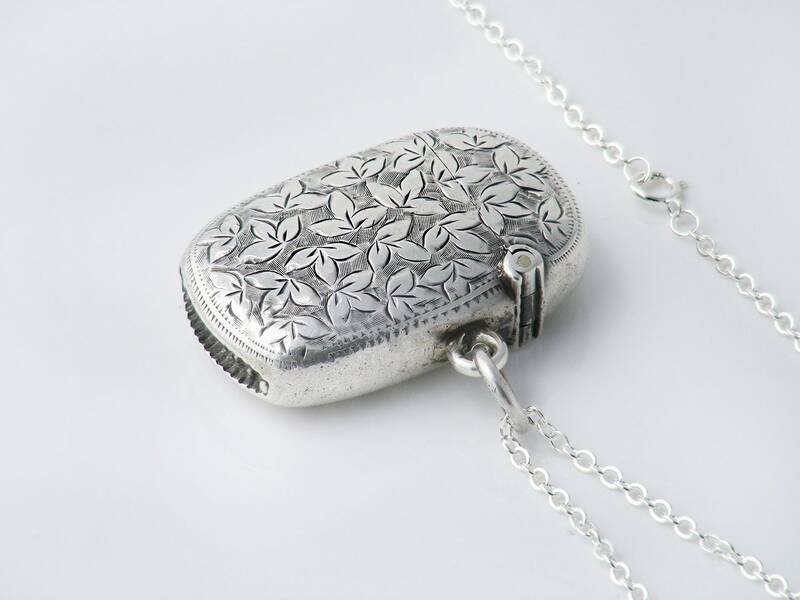 An expertly made Victorian lady's sterling silver vesta case, originally made to attach to a woman's chatelaine clip. 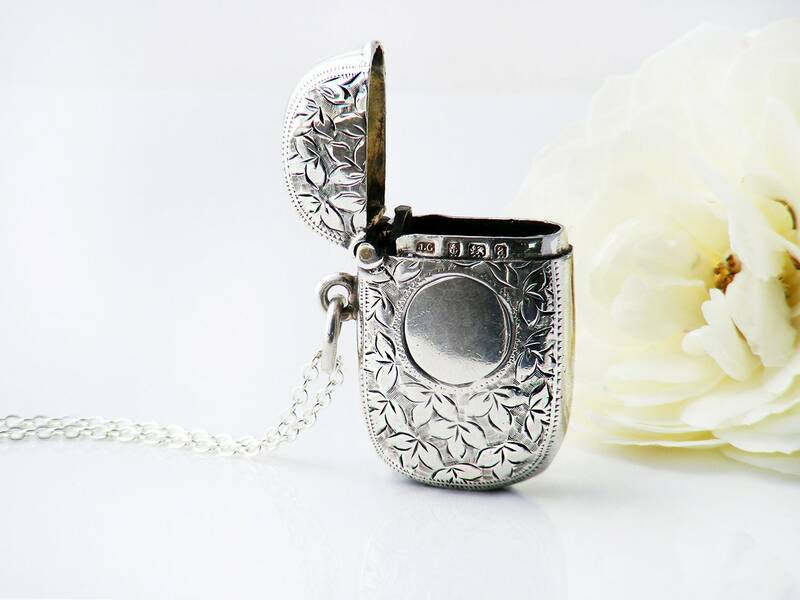 Wonderful as a locket to hold that special message or love token, the case suits a long chain well. 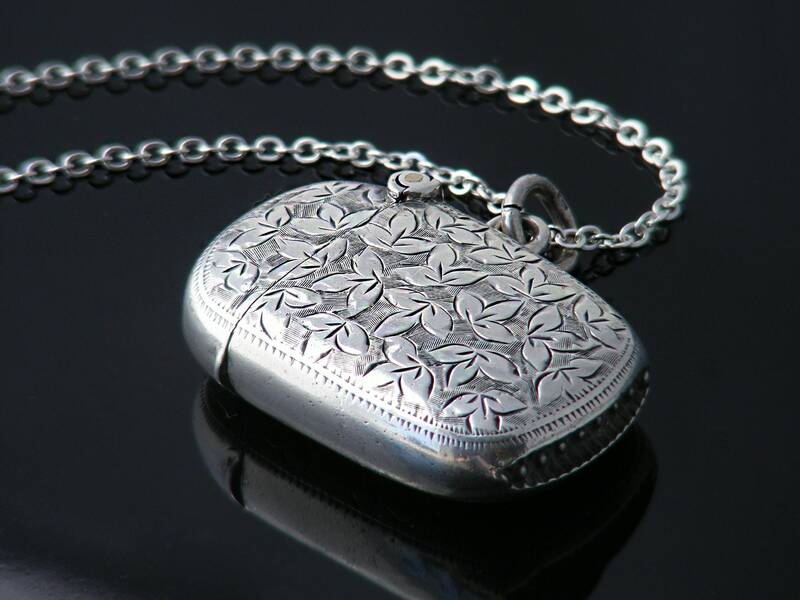 The locket has a classic hand chased pattern of ivy leaves on both sides - in Victorian sentimental jewelry ivy leaves represented 'Everlasting Love' and 'Fidelity'. Nicely rounded and smooth, the case is wonderful to handle. 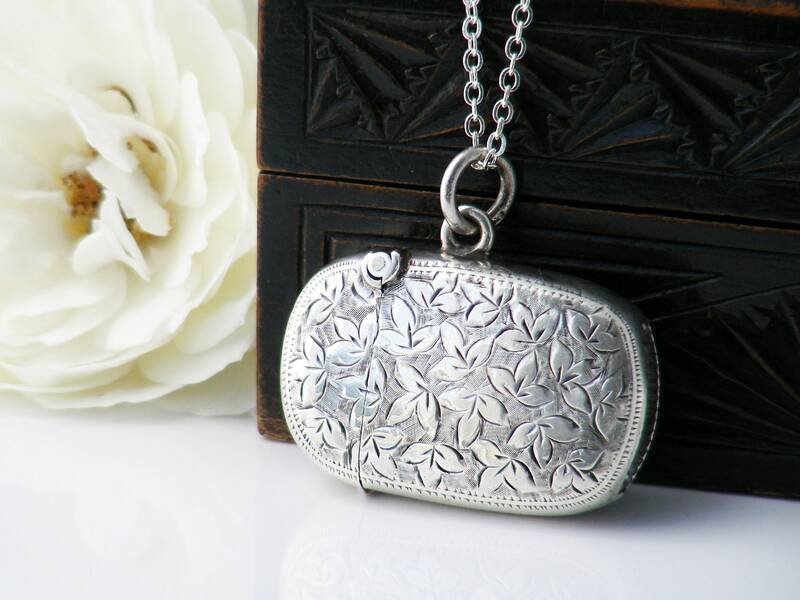 Sterling Silver: The vesta case has full hallmarks for sterling silver from Birmingham, England and the year 1900. 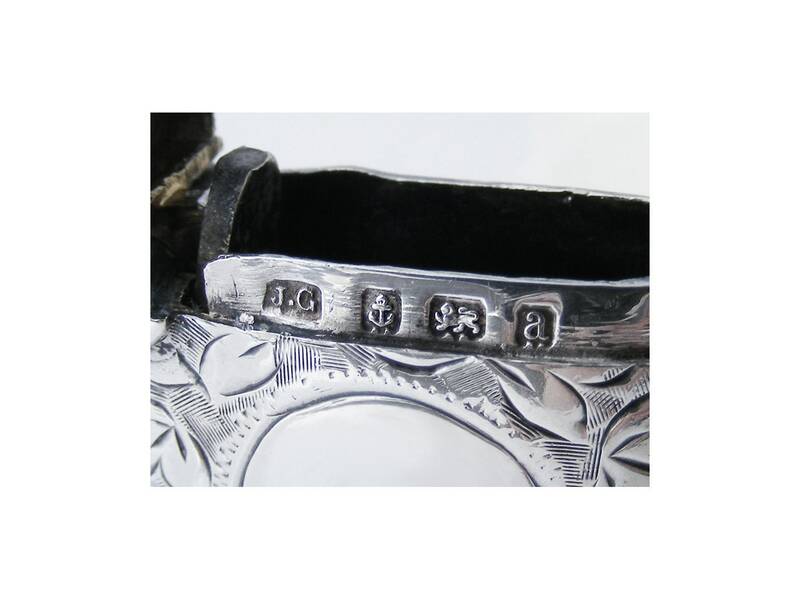 The maker's mark 'J.G' is also present - this is the stamp of renowned English silversmith Joseph Gloster. 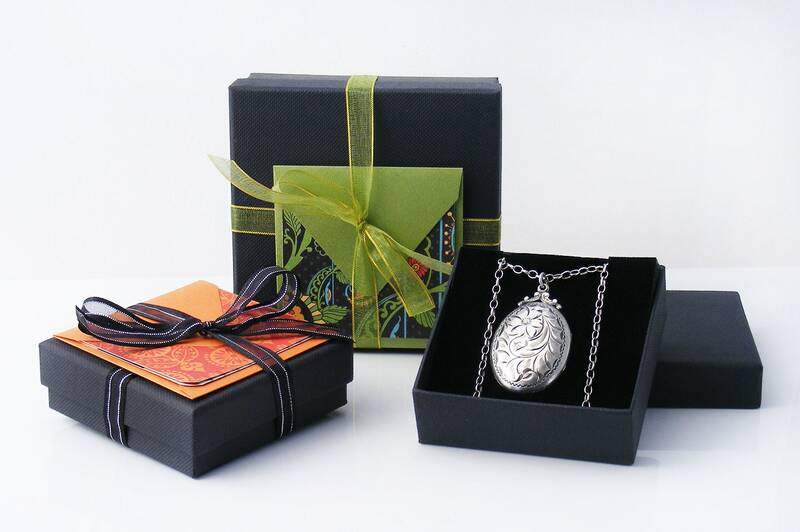 The lovely fat original suspension ring is also stamped for sterling silver. Note: 1901 marked the year of Queen Victoria's passing; this piece was made in the last year of her reign. The flip top has a great little mechanism as part of the hinge to ensure that the lid opens and closes firmly and will not drop shut or open unexpectedly. Size: The smaller sized case is a softly rounded rectangle measuring 1 x 1.6 inches (26 x 41mm) and approximately 11mm in thickness. Condition: Excellent. Hallmarks are crisp and clear, the sprung hinge is working perfectly, closure is tight and firm with no gaps whatsoever - the closure seam is barely visible. The silver is smooth and lovely to handle. Presented on a new 30 inch or 76cm sterling silver chain, stamped 925 to the clasp. 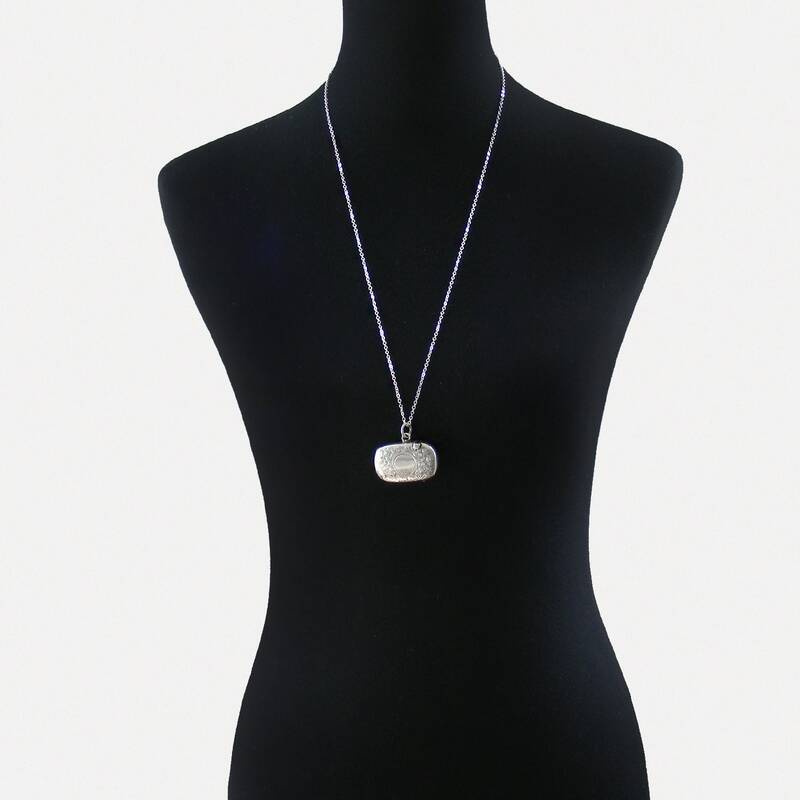 Photograph #4 shows the locket and chain on a life size torso. Shown on a life size torso in image #4. 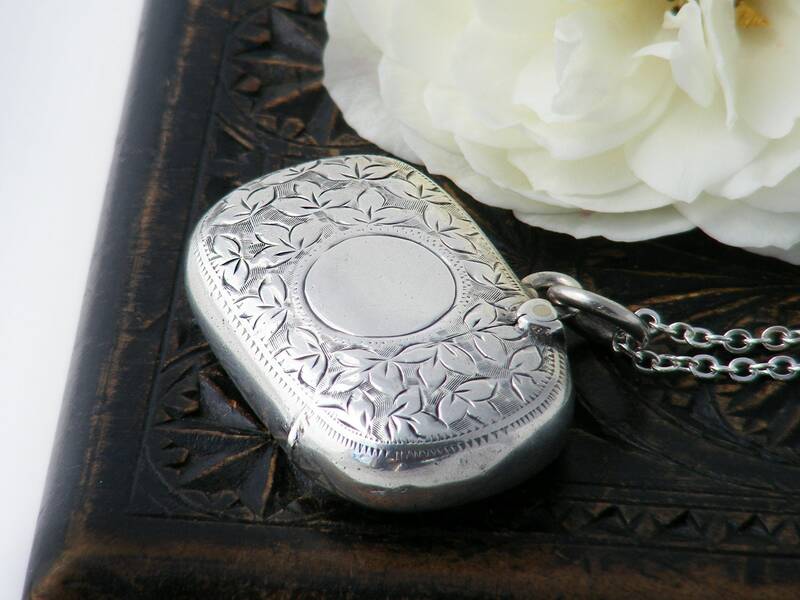 A Victorian vesta case in lovely condition, one of the nicest I've found.